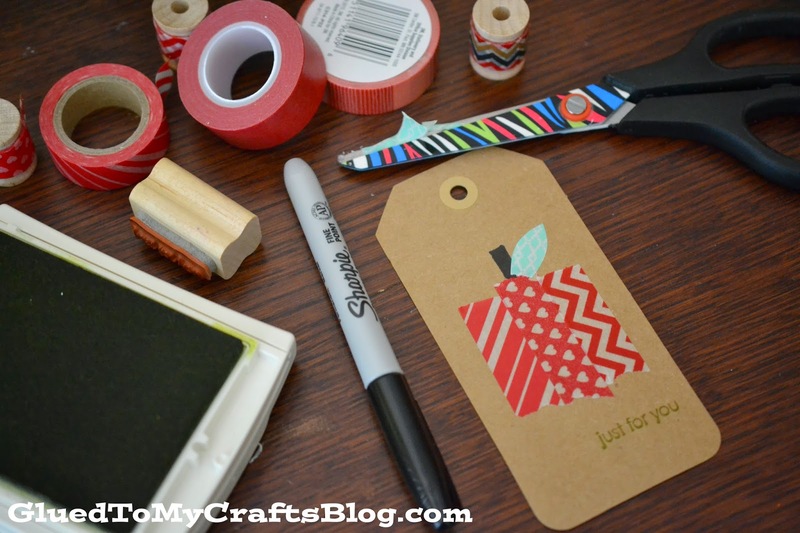 Continuing on with the “apple” theme from yesterday on Glued To My Crafts, today I’m sharing these simple, DIY Washi Tape Apple Gift Tags. 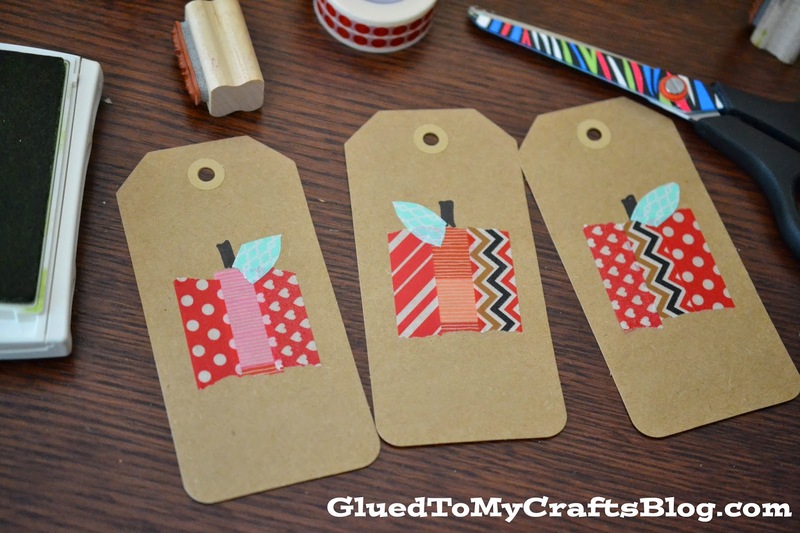 * First things first – tear off three, same size pieces of red washi tape and place them on your gift tag, in a square shape. You want this design to be in the center of your gift tag. * Then using your scissors, cut a leaf shape out of green washi tape. * Place on the gift tag, near the top of the square shape you just made. * Next, using your black Sharpie marker, draw on a “stem” for your apple. 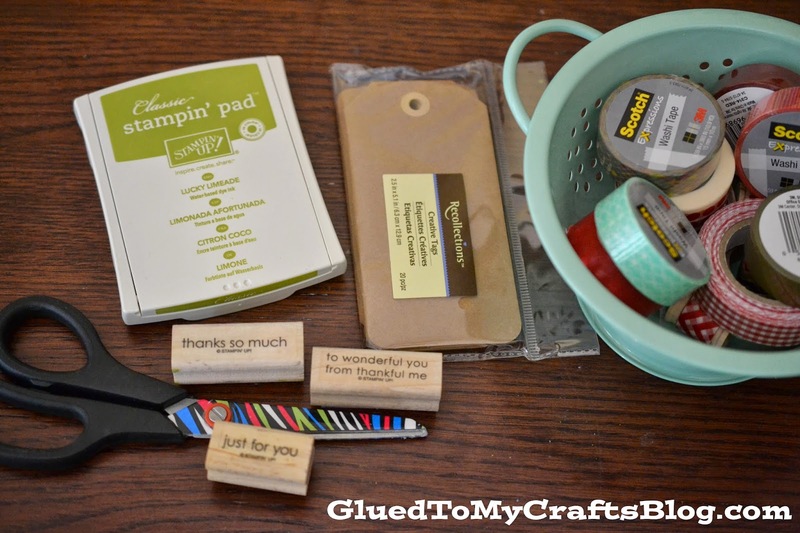 * Finish off, by stamping on an inked sentiment or hand writing one, near the bottom of the tag. * Repeat all the steps above again, for each tag you want to make! * Then add to your gifts and gift away!